Medical cannabis animated word cloud, text design animation. Kinetic typography. Medical cannabis shop background HD animation. Weed and hipster stuff. Closeup view of abstract, beautiful, blooming, yellow acacia tree, isolaed on black background. 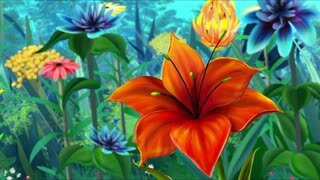 Animation of bright, cartoon, yellow flowers and green leaves swaying in the wind. Welcome To Kiev Signed Stamping Text Wooden Stamp Animation. Red Ink on Clean White Paper Surface Background with Green matte Background Included. Made In Kiev Signed Stamping Text Wooden Stamp Animation. Red Ink on Clean White Paper Surface Background with Green matte Background Included. Growing Spirae Flower. Alpha Channel Included. Growing Monstera Flower. Alpha Chanel Included. Animation of fresh green mint leaves fling in the wind as concept of freshness, aroma, natural care and organic idea. Animation of fresh green mint leaves fling in the wind as concept of freshness, aroma, natural care and organic idea. Black background. Aloe vera animated word cloud, text design animation.